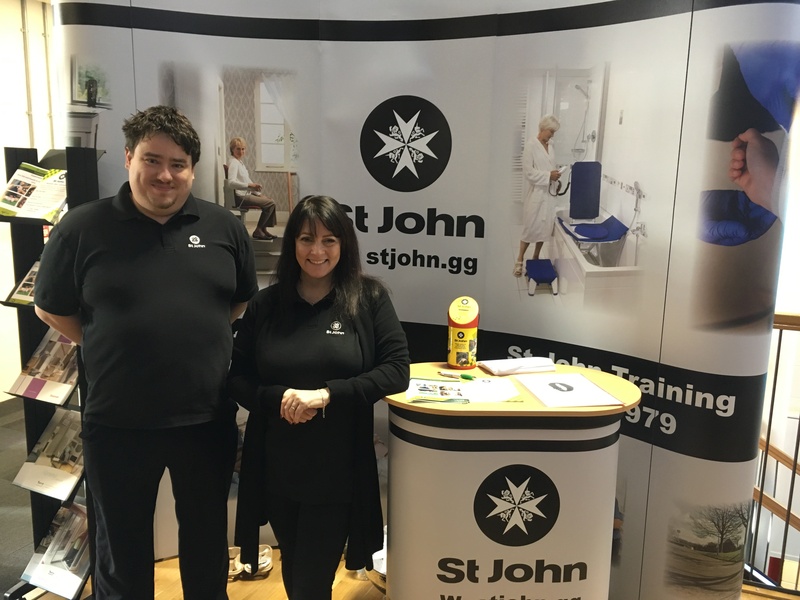 St John Training and St John HealthCare attended the Guernsey Health & Wellbeing Show at the weekend. 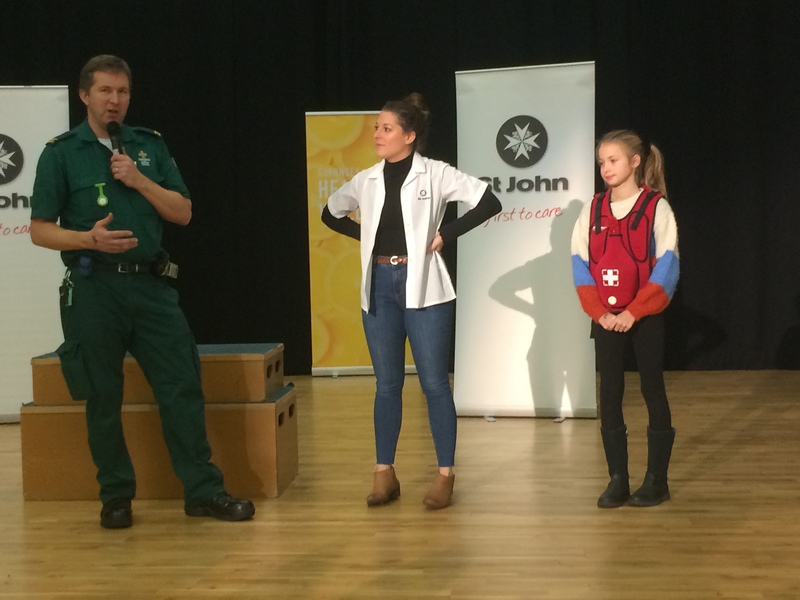 The event at Les Beaucamps High School, was an opportunity for the public to see a demonstration of CPR and other first aid skills from St John Training and learn about the services and products available from St John HealthCare. Trainer Heather Fedak and EMT Jim Cathcart gave a demonstration to show-goers, including a session how to treat choking using the “choking vest”. St John provides a wide range of first aid courses from the 4-day First Aid at Work qualification to a half day basic course. We also run courses designed for parents, grandparents and carers. 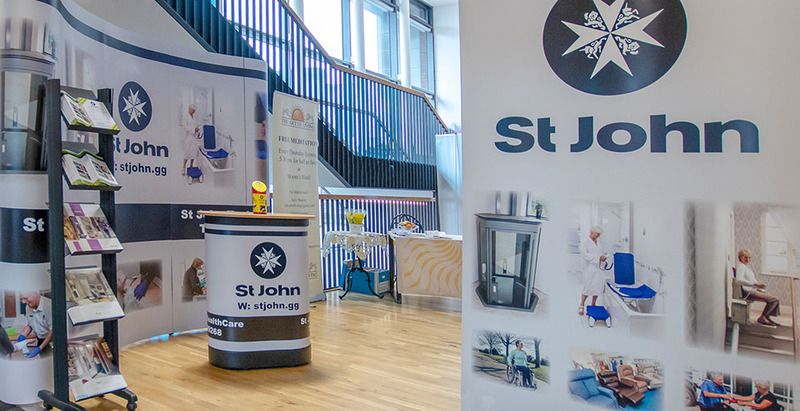 St John HealthCare can advise and supply a range of mobility and accessibility products such as electric scooters, hoists and stair lifts. We are the official Channel Islands stockist for Stannah and Terry lifts. Our staff are trained to advise on the best product as well as being qualified to install and service lifts and other equipment. The shop on the Rohais also sells first aid kits and other medical products. 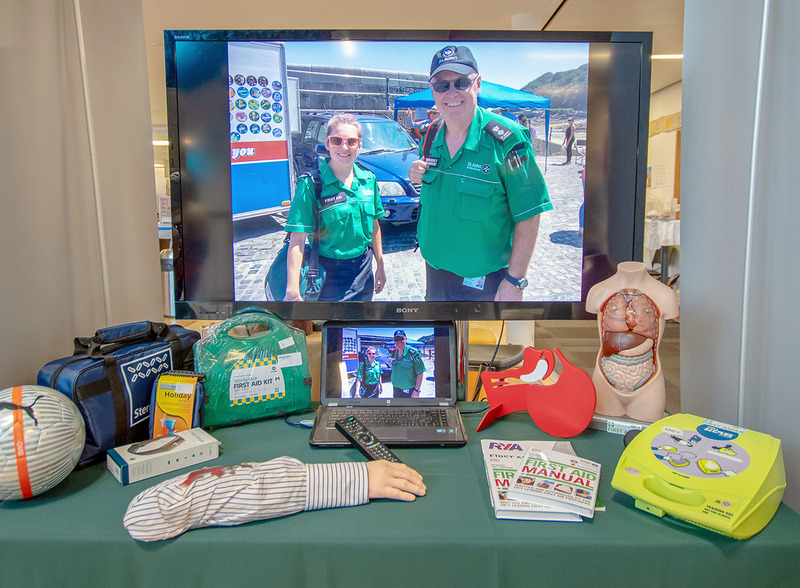 Our display showed off the various sections of St John in Guernsey, which also includes Event First Aid and youth sections. We also took an Emergency Ambulance along to the event for people to have a look around. It is the third time the event has been held and organisers estimate that about 3000 people visited the show.